Feminine and fabulous are the words that come to mind when you see this vintage style verdant peridot ring by Apples of Gold. The timeless green gem sparkles on top of the hand polished sterling silver band and measures 5.5mm. Guaranteed to become a favorite, the impressive peridot gemstone is the true meaning of fashion. 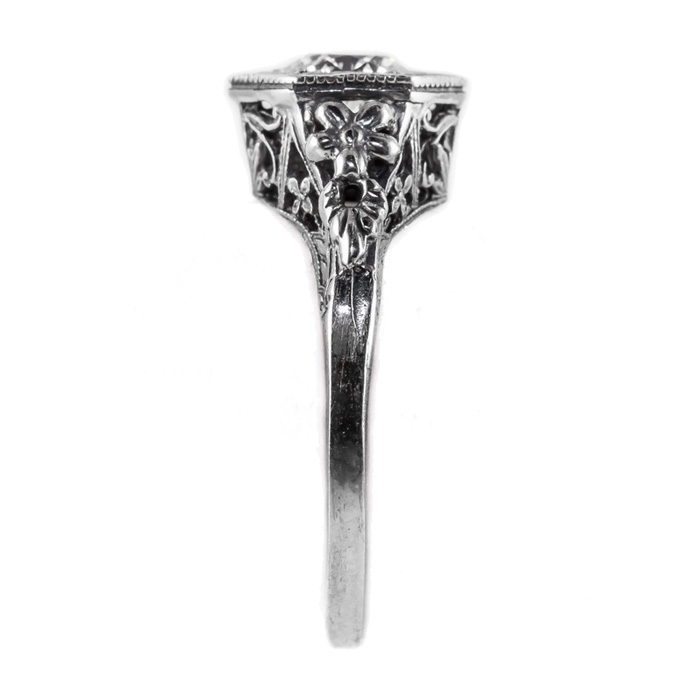 Sterling silver jewelry is a trend that stands the test of time. A unique gift idea for birthdays or just to say hello. 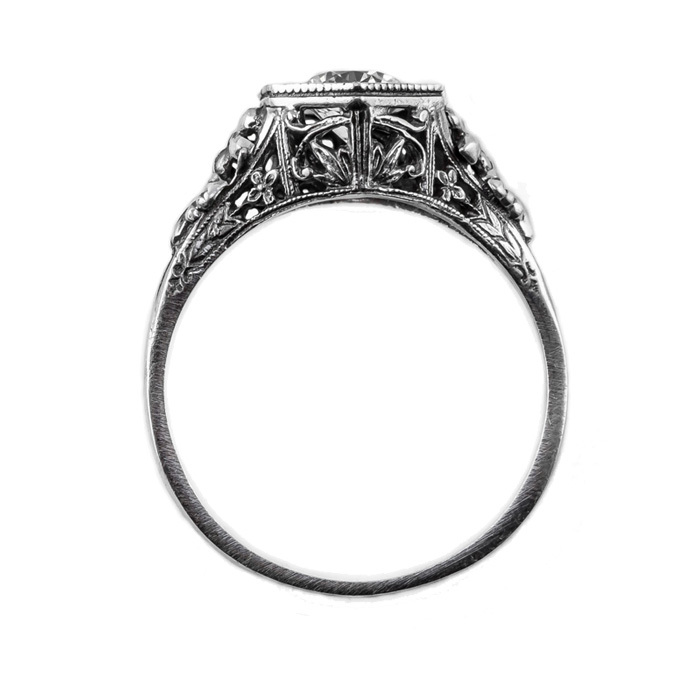 Every woman would be ecstatic to wear this stunning piece of jewelry. 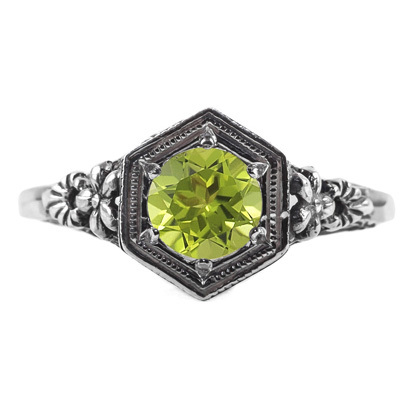 We guarantee our Vintage Floral Design Peridot Ring in Sterling Silver to be high quality, authentic jewelry, as described above.